Last Thursday at 2:15pm, I was bringing my son back to his school, as usual, after his violin lesson. Because of heightened security, because of school shootings, one now has to ring the doorbell of every elementary and middle school and be seen via camera before one is admitted. The rule is not to let in the person behind you, but most flaunt that. Running to catch the opened door behind me on Thursday was a young white man–most likely the father of a kindergartener, but in this era, one can’t be too sure. Still, I held the door for him. I immediately had the thought, “He might be a shooter.” I hate that I have that thought. Forty-five minutes later, in line at the food co-op, I got a call from the school system. When I heard a recorded voice, I hung up. I was in a hurry, and I needed to get home to meet my other child to take her to her violin lesson. (Thursdays are violin 24/7 for Duffields). Only when I got home, she wasn’t there. I gathered her violin, viola and books, my heart beating a little too hard. She is never late. She bikes home from school every day–it takes her only twenty minutes. She should be here by now. These are words you never want to hear. There was, she said, a young man in the parking lot with guns. The entire Northampton police force was at the school. The kids would be released from their barricaded classrooms when there was no longer a threat. I sank down on my porch steps and waited. Unlike way too many parents, I didn’t have to suffer long. Her little face under her bike helmet appeared, brave but pale, and I threw my arms around her. She wanted to go to violin but not to soccer. She wanted to stay close to me. I kept her near until I learned that, apparently, the man with the guns in his trunk was not devious, just dumb, and probably high. The rifles were pellet guns, and he had eleven ounces of marijuana in his possession. He was meeting up with a friend and foolishly chose the JFK parking lot. More foolishly still, to bide the time, he opened the truck and began assembling his rifles. 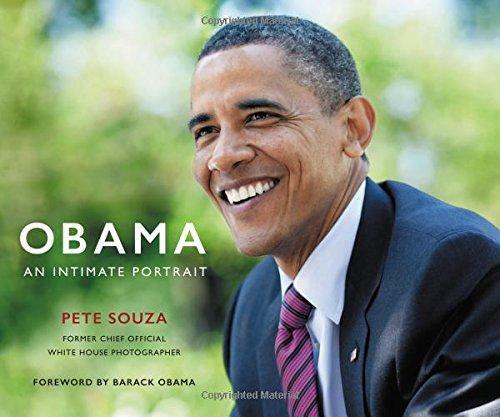 For my birthday, my Wednesday evening writing group gave me former White House photographer’s Pete Souza’s beautiful coffee table book of his photos of Obama’s eight years in office. It is almost physically painful to look at these beautiful images. The humanity, humor, dignity, gravitas in that man are unparalleled in any elected leader in my lifetime. His wife and daughters seem like family to me, even though I have never met them. I prayed for them for eight years and more. I celebrated their victories and mourned their losses. And as I gaze at the book, I just don’t understand how anyone could possibly dislike the Obamas, or even find fault with them. And notice, I haven’t even mentioned one of the many policy decisions the man made, most of which I agreed with. But this is exactly the problem. I deify the Obamas. Someone else thinks Trump walks on water. I don’t get it, I don’t understand. They don’t understand me. It’s like we’re living in parallel realities, as though the exact same events appear in mirror image to each of us. And so–knowing almost nothing about the 27-year-old playing with pellet guns in my kid’s school’s parking lot–I wonder if he just doesn’t think the thought, “Oh, they might think I am a school shooter, so I better not pull a gun out on school property.” Maybe the news he listens to never mentions school shooters, except in the context of an argument that the solution to this problem is for teachers to pack heat. In my world, school shooters loom large. In the Trump voter’s, a Big Brother-style government that will take away their guns looms large. Fear of being displaced by women, African-Americans and foreigners looms large. What do we do with this story? What do we as parents of these kids do, knowing that there is a chance they have been forever changed? What do we do with the fact that there was no “real” threat? What do we do with the knowledge that school shootings are indeed on the rise and they can happen anywhere? What do we do with the cultural divide? My heart is open and aching and I am looking for answers.